The cover of the second book in Dangerous Creatures, which is a spin-off series of the world of Casters: Beautiful Creatures, has been revealed. You will see below the early outing of Dangerous Deception, which was first unveiled via NOVL. Kami Garcia and Margaret Stohl are not letting go of this world, despite both of them have their own solo series now. Despite being busy with their separate projects -- Icons series for Margaret Stohl and Unbreakable series for Kami Garcia -- they still deliver a dark and magical novel out next year. 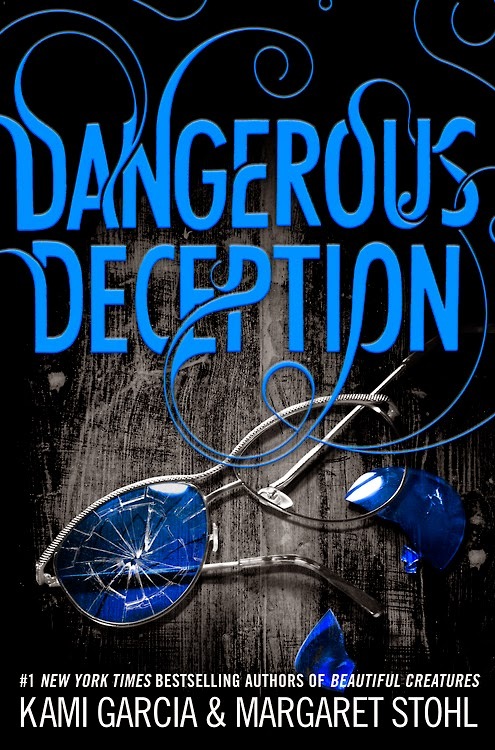 Check out the cover of Dangerous Deception by Kami Garcia & Margaret Stohl. Let me put it to you this way: If you can get away, run. Don’t walk. Because once you’re exposed, you’ll never get a Siren outta your head. Some loves are cursed. Others are…dangerous. Especially the love between wannabe rocker and quarter Incubus, Wesley “Link” Lincoln, and Dark Caster, Siren, and bonafide bad girl, Ridley Duchannes. Dangerous Deception by Kami Garcia & Margaret Stohl will hit books stores on May 19, 2015.